"For unto every one that hath shall be given, and he shall have abundance: but from him that hath not shall be taken away even that which he hath." On a recent trip to my Nan’s, I was asked once again to fix her iPad. She was unable to watch something on “that BBC button” and was quite distressed about it. In exchange for several cups of milky tea and a Tunnock’s Teacake, I did my best to solve the problem. Befuddlement ensued. I did my best to explain what ‘wifi’, ‘app’ and ‘downloaded’ meant before trying to explain what had gone wrong without using those terms. My Nan was still confused, so she just left me to it in a sort of “I don’t care as long as it’s fixed” way. It struck me that I possess a lot of knowledge about the internet, apps, etc. that my Nan does not. It was very difficult for her to understand exactly what I meant, never mind attempt to resolve the issue herself, because she lacks the basic knowledge that I have. This often happens in classrooms and is a phenomenon Steven Pinker terms ‘The Curse of Knowledge’. It means that experts often underestimate the amount of knowledge required to access new information. As has oft been said before, teachers can underestimate their own knowledge, and overestimate their pupils’ knowledge. Singular and plural nouns not ending in ‘s’: show possession by adding apostrophe s.
E.g. Tom’s book, Ali’s table, the children’s room. Singular and plural nouns ending in ‘s’: show possession by adding an apostrophe (and sometimes an extra ‘s’ at the end). E.g. Ross’s house, The foxes’ den, Elephants’ tusks. In order to understand this, pupils need to know the difference between singular and plural, and how to form plurals from singular nouns. Plural nouns that don’t possess anything do not require an apostrophe. Sometimes pupils write things like this: ‘I have two apple’s’ because they have misunderstood the relationship between subjects, verbs and objects, and have formed a misconception about how possession works. This is something that needs to be addressed when teaching the apostrophe, either through teaching it correctly in the first place, or confronting embedded misconceptions. Pronouns of possession do not require an apostrophe. Common mistakes with this one include: Our’s is really nice, I want her’s, the pencil is your’s. This happens because, again, pupils have formed a misconception about possession. This usually also indicates that they don’t really understand that pronouns replace nouns, but not always. Contracted verbs/nouns: show omission by adding an apostrophe in place of the missing letters. E.g. I don’t know, we won’t go, they’re out ‘n’ about. And don’t even get me started on the difference between ‘its’ and ‘it’s’….! The knowledge required to understand these rules is vast, and because experts are susceptible to the curse of their own knowledge, underestimating what they know and overestimating what pupils know, they sometimes fail to recognise just how hard it is to learn new, complex things. As a result, pupils end up confused and unable to understand and apply the thing you want them to learn. At Michaela, we are working hard to overcome this. Here are some strategies for getting past the curse of our knowledge. Joe Kirby’s post on curriculum design is well worth revisiting. A good curriculum takes knowledge into account, and prioritises teaching the concepts that pupils need to know in order to access new information. For example, it is far easier to learn how to subtract if you can count, so you wouldn’t teach subtraction before counting. The same applies for complex processes such as literary analysis. You can’t analyse a text unless you know things about it. You can’t write an essay until you know how to write a sentence, and so on. Looking at a unit as a whole, identify the 20% of content that will have 80% impact on pupils’ understanding. In an English literature unit on Shakespeare, for example, that might be key quotations, poetic and rhetorical techniques, plot, themes and a list of characters. If pupils learn this knowledge to automaticity, it will help them with more complex tasks later. Prioritise this knowledge at the start of the unit and refer back to it again and again until they have mastered it and are able to apply it flexibly. Drilling the basics helps to free up space in working memory for more complex processes. For example, when writing an essay, pupils have got a lot to hold in their minds at once: grammar, spelling, punctuation, plot, themes, characters, quotations, links, paragraph structure, vocabulary, and so on. It’s overwhelming at the best of times, but helping pupils to automate many of the underpinning basics frees up thinking space. Experts can write grammatically accurate sentences without even thinking, weaving in interesting ideas and vocabulary with little thought. This is incredibly hard work for someone who has not automated the underpinning basics. 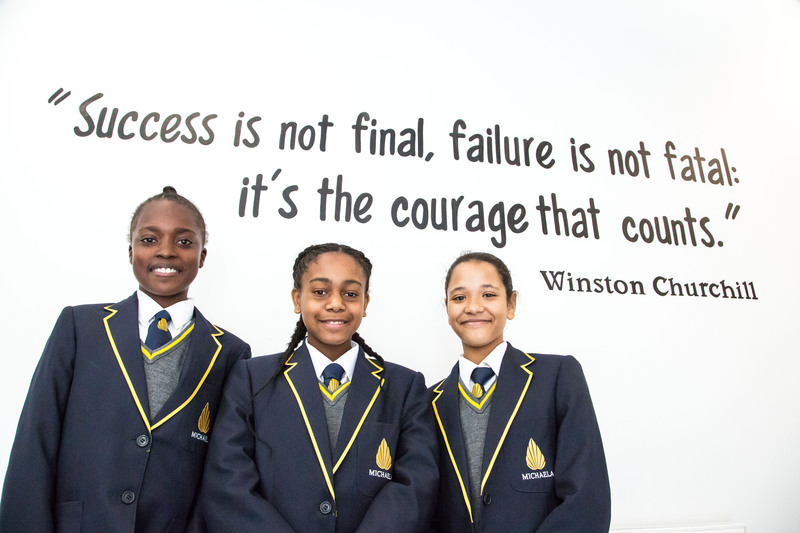 At Michaela, we support pupils to automate the fundamentals by drilling them daily in quotations, grammar and knowledge. When it comes to essay writing time, they stand a much better chance of being able to get to grips with the complex ideas they want to express. How can we get kids to read widely? How can we help the weakest catch up? How should we read texts in lessons? If you always do what you’ve always done, you’ll always get what you’ve always got. Mike Taylor's blog - Head of Humanities and History Teacher at Michaela Community School.